We’re seeking an experienced General Surgeon (Upper & Lower GI) for the District General Hospital in Rotorua, in the beautiful Lakes region of the Central North Island. 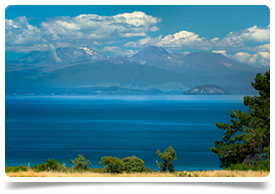 This role involves inpatient, outpatient and surgical work at both the Health Board’s Rotorua and Taupo Hospital sites (total catchment popn: 100,000). Both hospitals have recently had significant upgrades and the addition of new facilities. For this role, you will have broad specialist experience in general surgery, particularly in upper and lower GI. In addition, you will have a sound understanding of contemporary models of care; proven leadership skills and experience working in a multidisciplinary team environment; an interest in medical education and teaching; and a willingness to be involved in any service improvement programmes. *An overview of your surgical logbook outlining the procedures you routinely perform within general surgery (and the frequency with which you perform them) is very useful for the shortlisting panel to view alongside your CV. If you’re not familiar with this part of New Zealand, Rotorua and the Lakes region is visually stunning and an area of unique natural beauty and geothermal activity, offering a great outdoors lifestyle, perfect for taking advantage of the region’s hot summers and mild winters. Although it’s a relatively small city (population 59,000), it’s a vibrant city, and has a huge tourist and adventure sports industry that drives the local economy and welcomes tourists from all over the world, all year round. But there’s also lots to do if you enjoy a more leisurely pace of life too, with funky little cafés and bars, you can simply enjoy living in a unique location in a lovely climate. It’s an area steeped in history and legend, a place where Tikanga Maori (Maori culture) is celebrated – making this a truly unique place to live. There is a domestic airport with daily flights to Auckland’s international airport, making connections to/from Rotorua very easy (45 minutes). If you are an overseas-trained general surgeon, you will hold equivalent specialist qualifications from either Australia, UK (via CCT), Canada, Ireland, South Africa, Canada or the USA that will enable Provisional Vocational (long term) registration or Locum Tenens (short term up to 12 months) registration. These are the specialist pathways for medical registration in NZ for General Surgeons and we can assist with medical registration and the work visa, if successfully appointed. From 1st November 2017, all relevant qualifications must now be verified by ECFMG using the EPIC system on behalf of the Medical Council of New Zealand. If you are committed to working in New Zealand, we recommend starting this process off as early as possible if you hold qualifications from outside NZ. Doctors are required to complete this step online, as EPIC verifies an individual’s identity and medical qualifications.